Hype followed by disappointment: That's been the general pattern over the past few decades when an alternative fuel is presented to the public. It's a fuel du jour phenomenon, from methanol to hydrogen, where government leaders and the media hype a new fuel, only to abandon it when lofty expectations are not met. 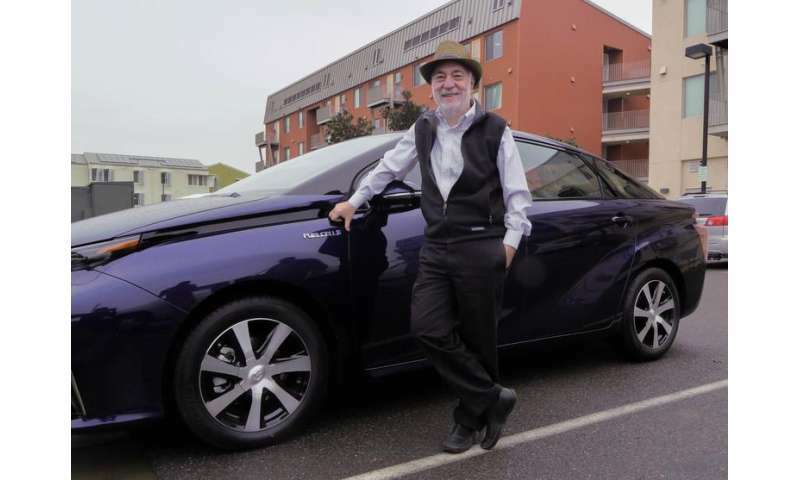 "Technology hype is a highly inefficient, but natural, phenomenon," said co-author and professor Dan Sperling, founding director of the UC Davis Institute of Transportation Studies. "The challenge is to fashion policies and strategies that acknowledge and harness hype as we transition to low-carbon fuels and vehicles." "Transportation is one of the biggest challenges in climate change abatement," said lead author Jonn Axsen, an environmental professor at Simon Fraser University. "We are a long way from where we need to go. A full-on transition to alternative fuel vehicles needs to start today to have any hope of cutting our emissions by 80 percent in 2050." That is a target to limit global average temperature rise to 2 degrees Celsius. 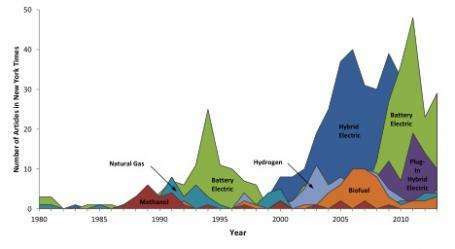 The study tracked alternative fuel vehicle media attention from the New York Times, research and development funding from the U.S. Department of Energy, and prototype development by the world's 15 largest auto manufacturers between 1980 and 2013. "Media, governments, and industry are all contributing to hype," said co-lead author Noel Melton of Navius Research. "It is not necessarily a bad thing, but history has shown that hype is not enough to get us to a low-carbon world."